Jabber's volume can be controlled three different ways. 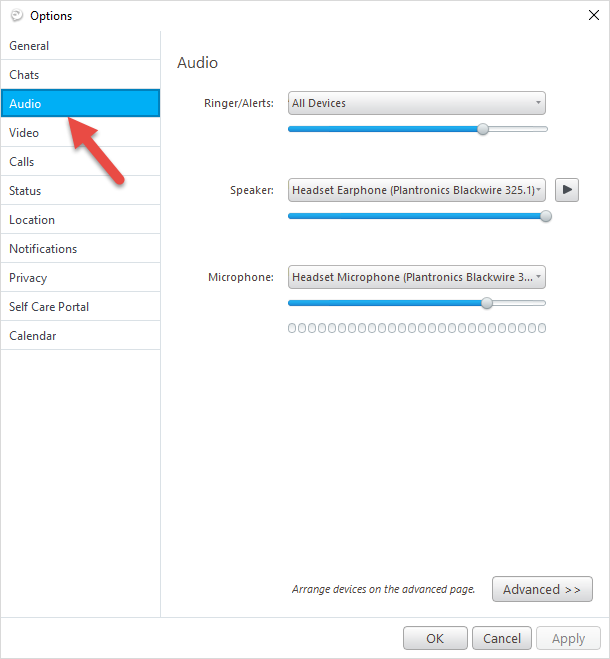 This article outlines how to adjust Jabber's volume each of the three ways. The first method for controlling Jabber's volume is to adjust the settings from within the Jabber application. To do this, go into Jabber's settings by clicking on the gear. From settings, go to File > Options. From within Options, click on the Audio tab on the left hand side. Be sure you are adjusting the settings for the Headset Earphone. To test the volume of the headset, click the Play button to the right of the drop down menu. The next way to adjust the volume for Jabber is to go through the computer's volume settings. 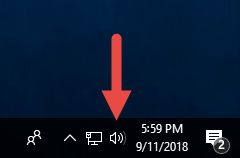 Click on the speaker icon on your task bar. Once you click on the speaker, drag along the bar to adjust the headset's volume. The final way to adjust the headset's volume is through the control on the headset's cord. There are volume buttons on the cord of each Jabber headset; they are represented by a + and -. Pressing the + increases the volume and the - decreases it. 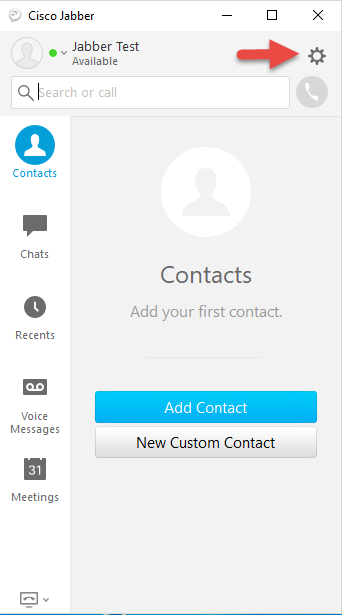 You will see a popup on the left side of your screen when you increase the volume on the Jabber headset.